We provide an integrative analysis of the diversity of the E. multiocellata—E. przewalskii species complex in Central and Middle Asia using morphological and molecular (COI DNA-barcoding) data. We report preliminary data on mtDNA variation within this group and clarify the taxonomic status and distribution of the members of the species complex. We also provide a description of a new Eremias species from Eastern Kazakhstan and western Mongolia, where it occurs in sympatry with E. multiocellata sensu stricto, from which it can be clearly differentiated using both morphological and molecular characters. The new species, described as Eremias dzungarica sp. nov., is assigned to the subgenus Pareremias on the basis of the following features: subocular not reaching mouth edge; one frontonasal; two supraoculars; the row of small granular scales between supraoculars and frontal with frontoparietals absent; distance between the femoral pore rows being wide; femoral pore rows not reaching knee-joint; coloration pattern with light colored ocelli with black edging. 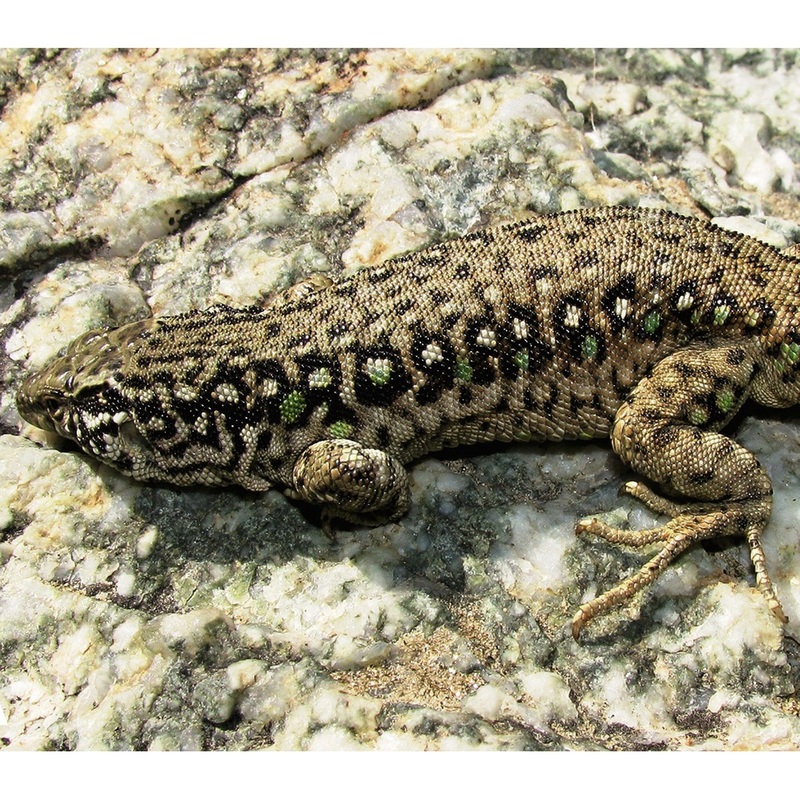 The new species can be distinguished from its congeners on the basis of the following morphological attributes: a medium-sized lacertid lizard, maximum snout-vent length (SVL) = 64.5 mm, tail being ca. 1.5 times longer than body length (SVL), hindlimbs relatively long (hindlimb length to SVL ratio 0.46); subocular scale not reaching mouth edge, in touch with 6–8 supralabials; males with bright coloration consisting of 2–3 dorsolateral rows of light-colored ocelli with thick black edging; the ventral row of ocelli in life is greenish to bluish; dorsal pattern consisting of black irregular blotches along the middorsal line. We also report on the high genetic and morphological diversity of E. multiocellata in Mongolia and China, synonymize E. m. bannikowi with the nominative form E. m. multiocellata, discuss variation within E. przewalskii, synonymize E. p. tuvensis with the nominative form E. przewalskii, provide new data on E. cf. reticulata and E. m. tsaganbogdensis, confirm validity and clarify distribution ranges of E. stummeri, E. szczerbaki and E. yarkandensis and discuss further progress on taxonomic studies of the E. multiocellata—E. przewalskii species complex. Etymology. The specific name “dzungarica” is a Latin toponymic adjective in the nominative singular (feminine gender), referring to the distribution of the new species covering the area of Dzungaria, now in easternmost Kazakhstan, northern part of Chinese Xinjiang and the westernmost part of Mongolia (Dzungarian Gobi). Reccomended vernacular name. We recommend the following common name in English: Dzungarian Racerunner. Recommended common name in Mongolian: Züüngaryn gürvel; in Russian: Dzhungarskaya yaschurka. Valentina F. Orlova, Nikolay A. Jr. Poyarkov, Maritina A. Chirikova, Roman A. Nazarov, Munkhbaatar Munkhbayar, Khorlooghiyn Munkhbayar and Khayankhyarvagijn Terbish. 2017. MtDNA Differentiation and Taxonomy of Central Asian Racerunners of Eremias multiocellata-E. przewalskii Species Complex (Squamata, Lacertidae). Four southern European lineages of Lissotriton have acquired the population-genetic hallmarks of independent species (L. graecus, L. kosswigi, L. lantzi, L. schmidtleri). Konstantinos Kalaentzis wrote: Four southern European lineages of Lissotriton have acquired the population-genetic hallmarks of independent species (L. graecus, L. kosswigi, L. lantzi, L. schmidtleri). So for the layman like me - Are those new species or not (yet)? I'm always baffled when I read about "nuclear loci" and "mtDNA introgression"...My limited knowledge combined with topics such as "taxonomic vandalism" and the uncertainty of research like this one leaves me with mixed feelings, i.e. are people just trying to justify their sponsorship? are these hard evidence, and if yes of what?...and the already muddy puddle of species definition turns into a black-water swamp. To me the phylogeny like they present it looks pretty legit. The structure analysis confirms that the different (sub)species are well-defined genetic entities. Next, their gene-flow analysis defines which groups of populations are under considerable gene-flow and which ones have been isolated for a long time. Results suggest species status for the southern lineages and subspecies status for northern lineages (except L. montandoni). I think this is one of the better examples of correct species delineation. Interestingly, it looks like northern groups show substantial gene flow (the subspecies) compared to the southern full species. Could the higher gene flow be due to the more humid climate in the northern part of their study area which enables more activity? L. montandoni might be isolated because of the height of the populations. Also, the dating the time of mtDNA introgression would be a cool thing to do. This is what I understand of it off course . I don't get the species delineation thing. I assume substantial gene flow suggests that it is not a distinct species but "considerable" is a fuzzy term. Could the higher gene flow be due to the more humid climate in the northern part of their study area which enables more activity? L. montandoni might be isolated because of the height of the populations. In Poland hybrids L. montandoni x vulgaris were observed. Michal Szkudlarek wrote: I don't get the species delineation thing. I assume substantial gene flow suggests that it is not a distinct species but "considerable" is a fuzzy term. Well what I meant was that gene flow is considered to be enough to make them subspecies and certainly not full species. I don't know enough about the distribution of L. montandoni, but are these hybrids the results of secondary contact after speciation of both species? Or are hybrids the result of the introduction of the "alien" genotype by man? What is the borderline intensity of gene flow between species<->species and subspecies<-> subspecies? 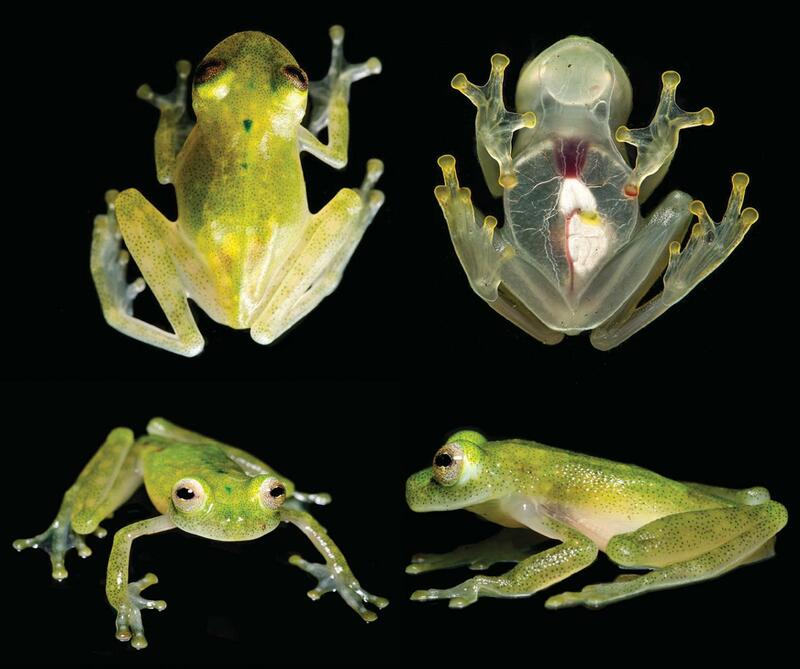 are these hybrids the results of secondary contact after speciation of both species?